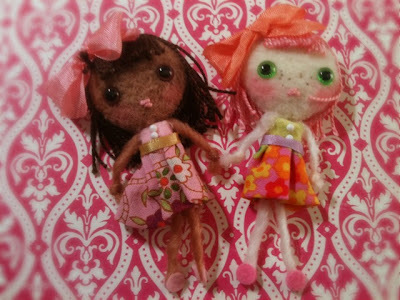 Multi-Media Artist Jennifer Novack, known as Violetpie, created these needle felted lovelies. 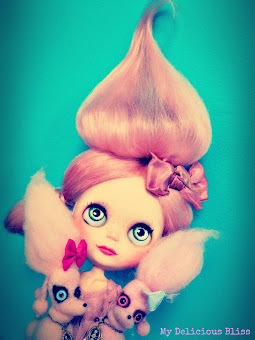 I became familiar with Violepie through her collaboration with artist Mab Graves inwhich she brought her illustration Vampoodle to life as a needel felted wonder. 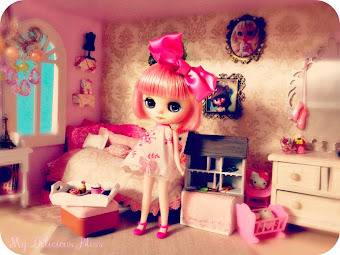 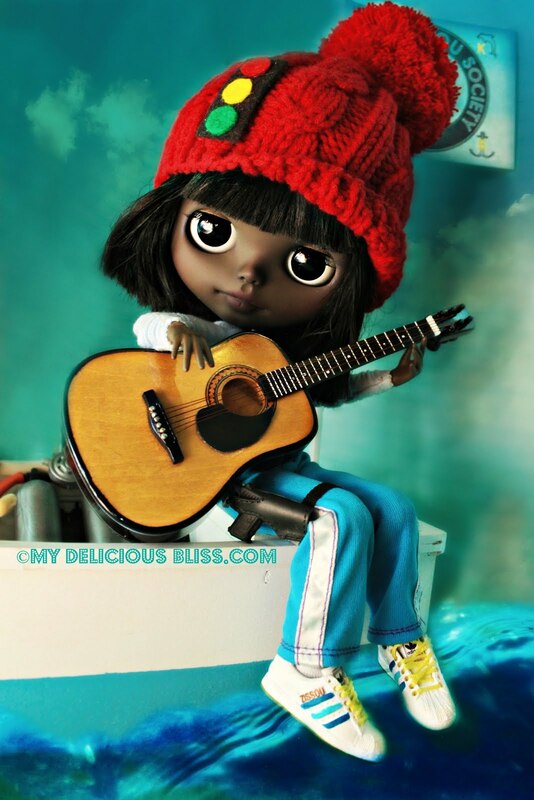 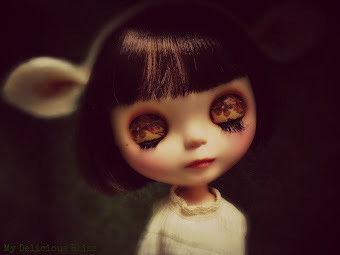 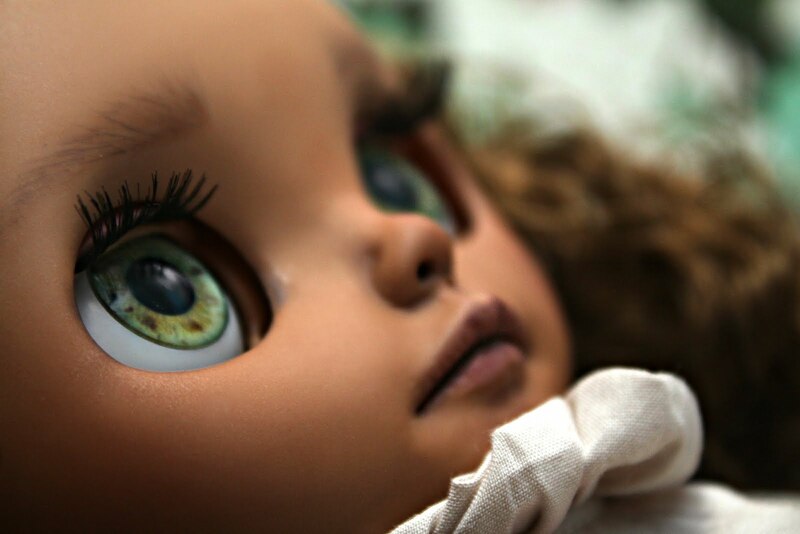 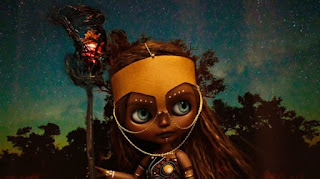 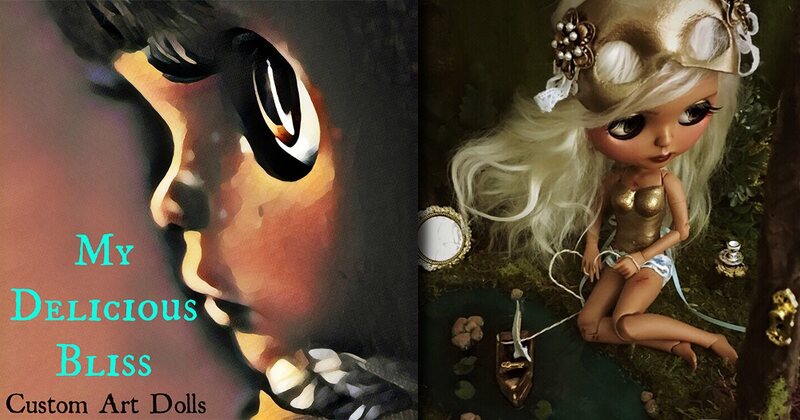 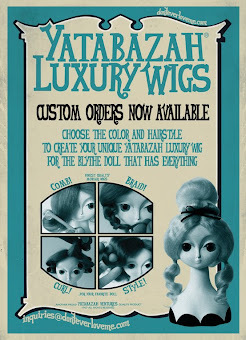 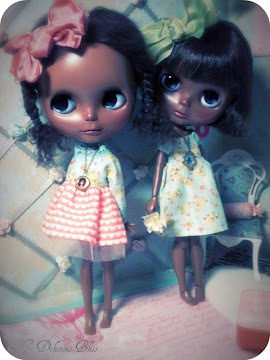 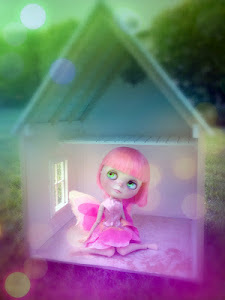 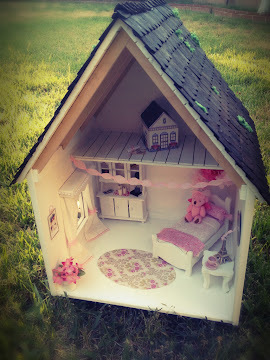 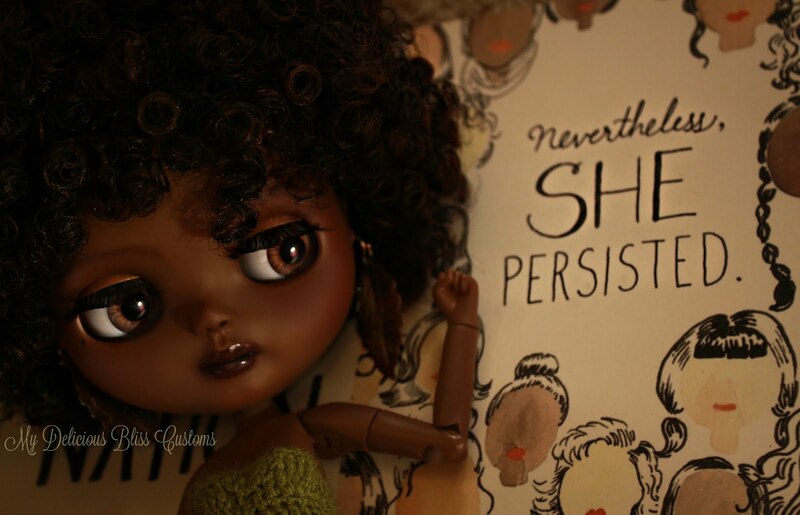 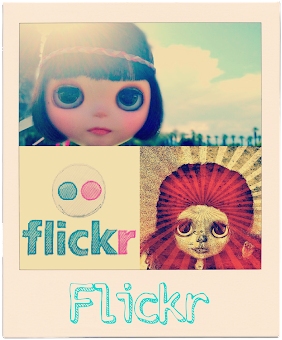 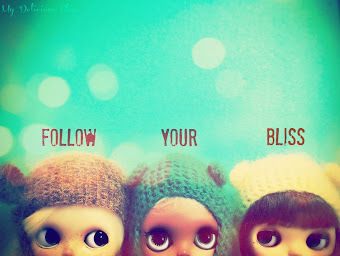 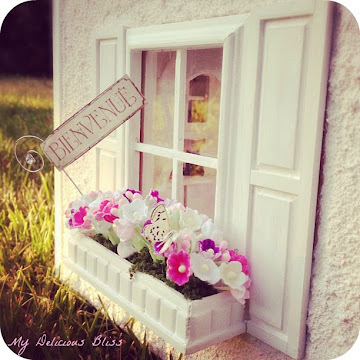 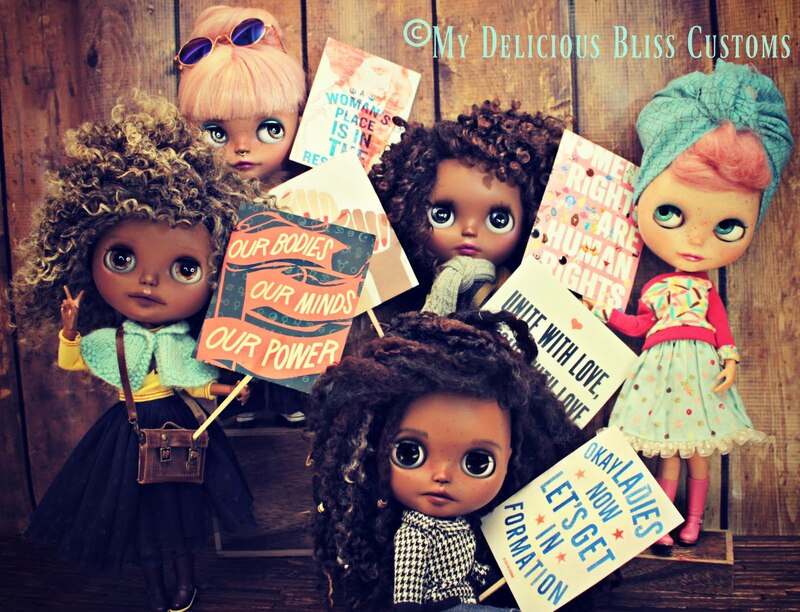 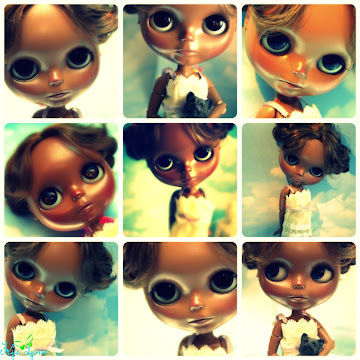 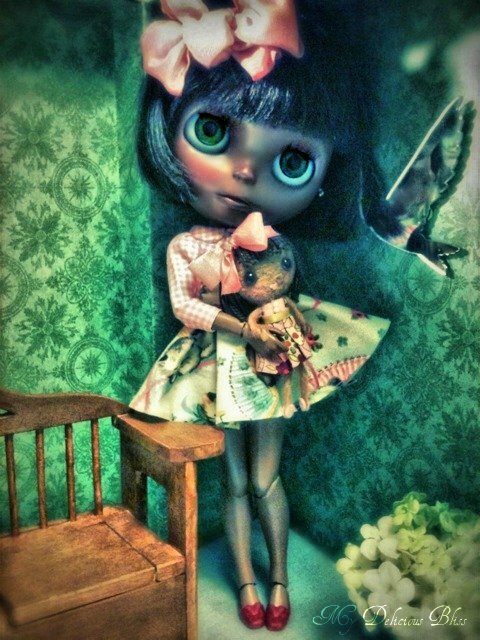 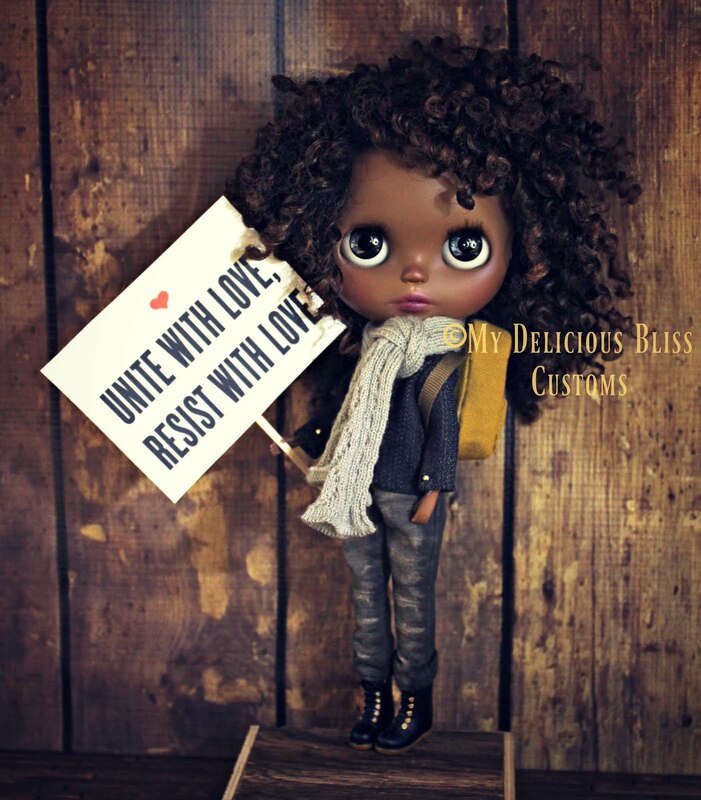 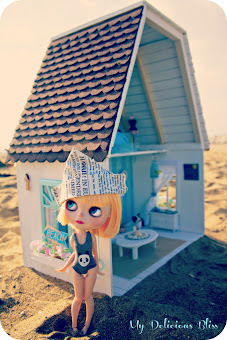 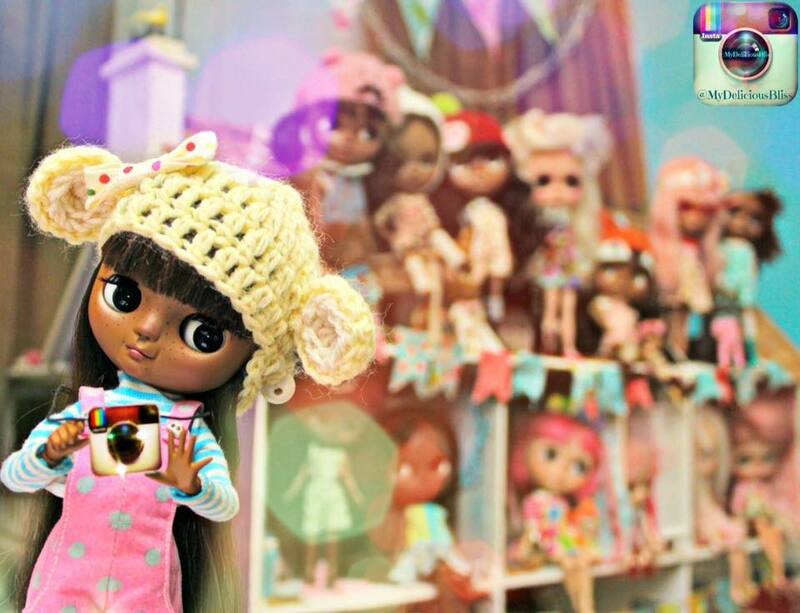 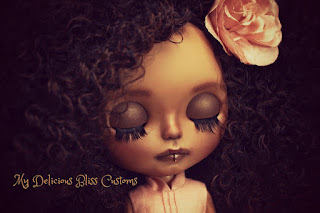 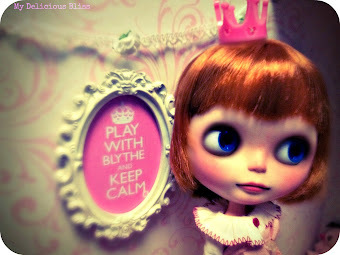 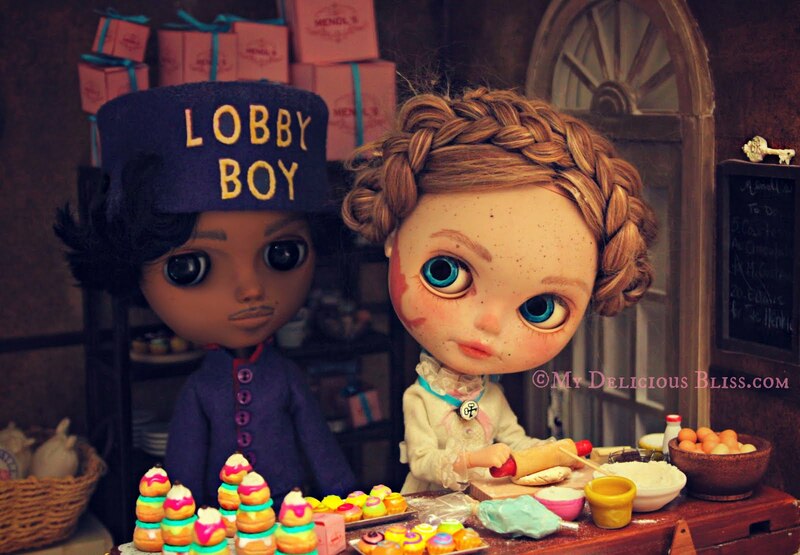 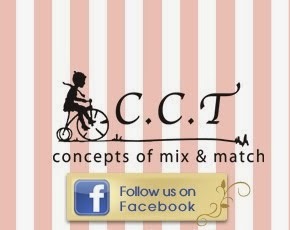 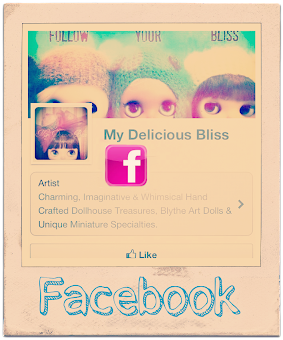 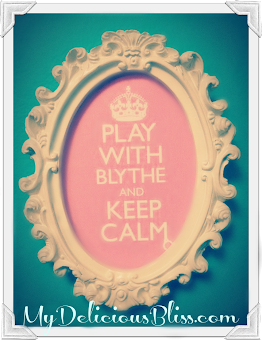 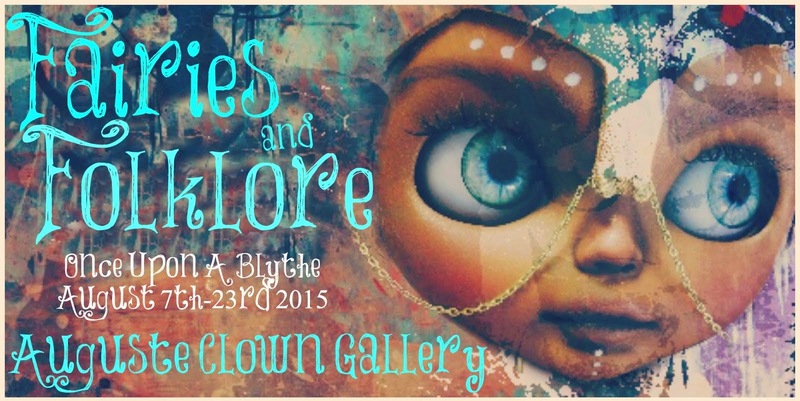 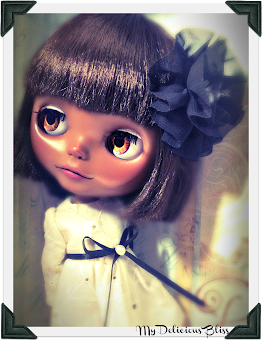 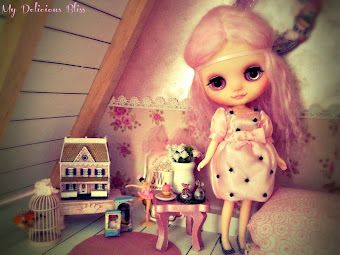 I went to her "Shop of little things", to look at more of her work and found that she creates Custom One Of A Kind Mini Blythe Replicas of your stock or custom girl! 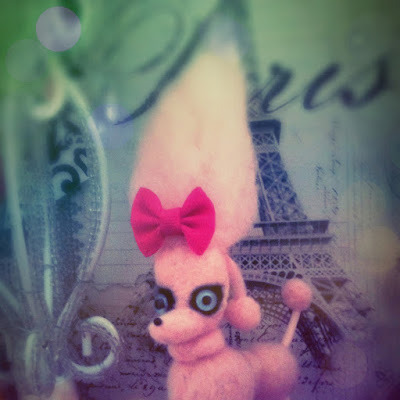 I had one of my Evangeline created and KK got her Bubblegum. 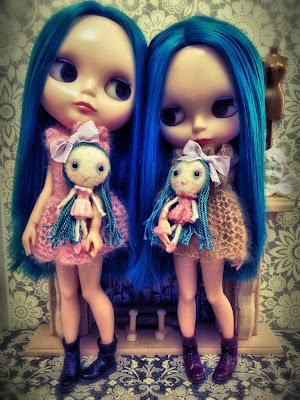 As you can see from the photos above, she nailed their likeness!!! 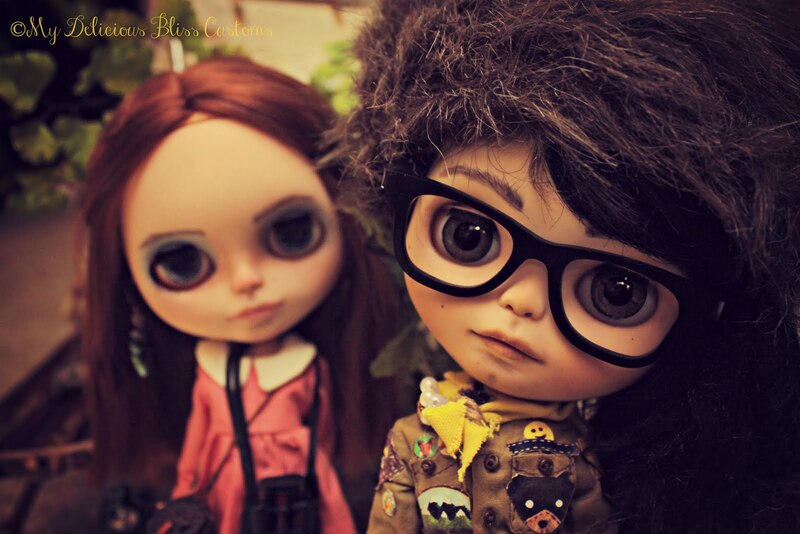 They are too adorable for words! 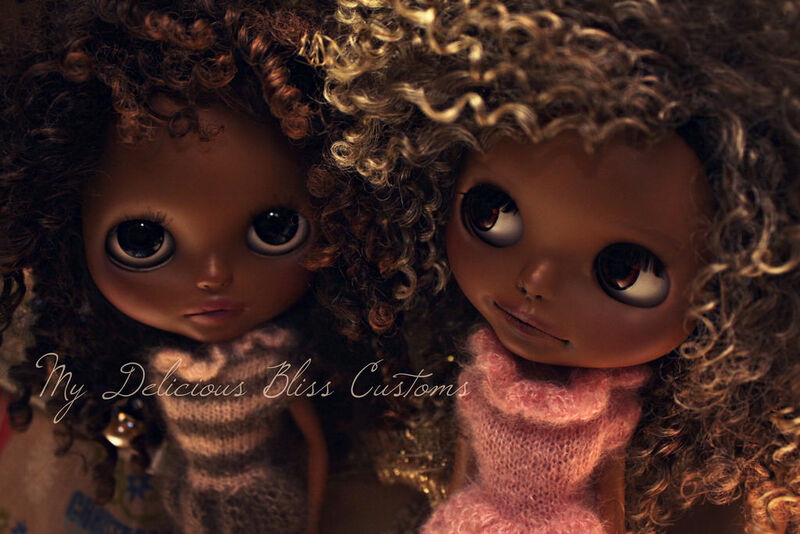 The Mini Blythes are about 2 inches tall, with needle felted heads and even little outfits to match your girls, even hair bows and freckles. 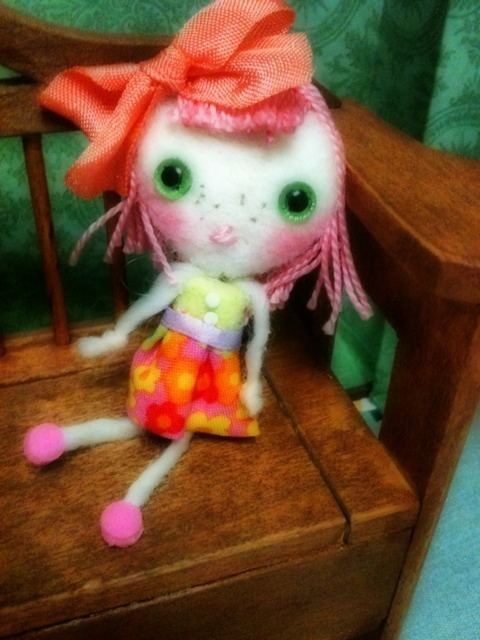 At $22.oo each they are a steal for a OOAK item that you and your dolly love will cherish!